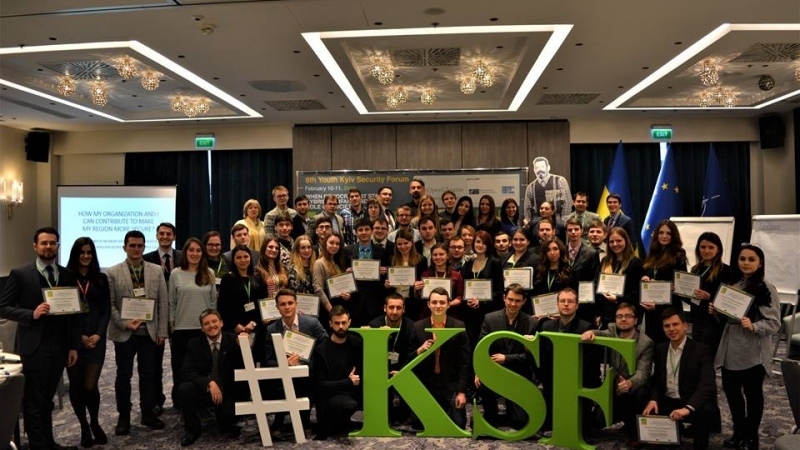 On 11-12 February 2018 an expert of the Security Expert Center Ivan Nagornyak took part in the VI Kiev Security Forum for Youth "When democracy at stake: hybrid warfare and role of society", in which this year more than 70 young leaders, students, public activists from different regions of Ukraine, as well as young specialists from Poland and Germany took part. The main purpose of this year's forum was to discuss issues of information security challenges for Ukrainian society and European countries in the face of hybrid war and Russian aggression, to find ways to solve these problems and to understand how young Ukrainian leaders can contribute. Participants of the Forum were divided into 7 working groups, in which they worked on best practices for implementation of reforms to counter cyber threats, fake news, propaganda, and others.